Last winter, Williams & Heintz participated for the first time, in Calvert Hospice Festival of Trees We got to decorate one of over 60 trees, which were displayed over Thanksgiving weekend, and then went to homes and businesses. This year there will be a new Gingerbread House Competition, in addition to Breakfast with Santa. The vendors at the festival provide a great start to the holiday shopping season too. All proceeds from the Festival of Trees go to support the Burnett-Calvert Calvert Hospice House. The House is available to anyone in Calvert County living their final days for whom care at home is not an option. 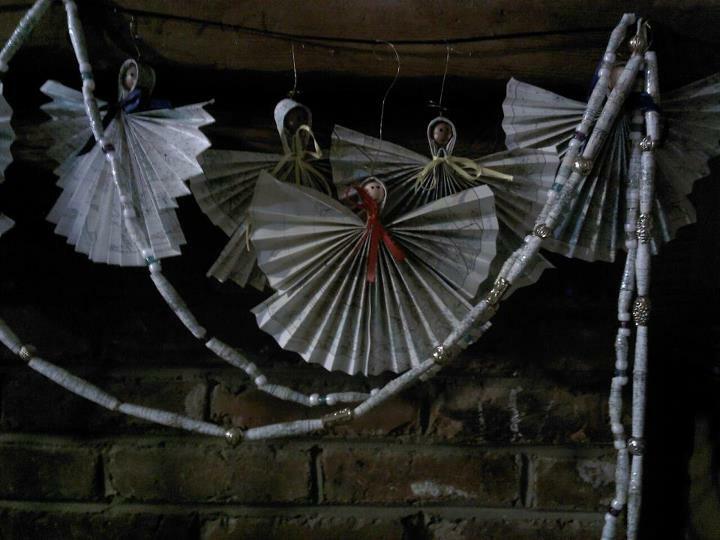 Our decorations were made of re-purposed nautical charts. It makes me happy to get creative and make pretty things out of old stuff, so I derive great satisfaction making decorations out of reused maps. 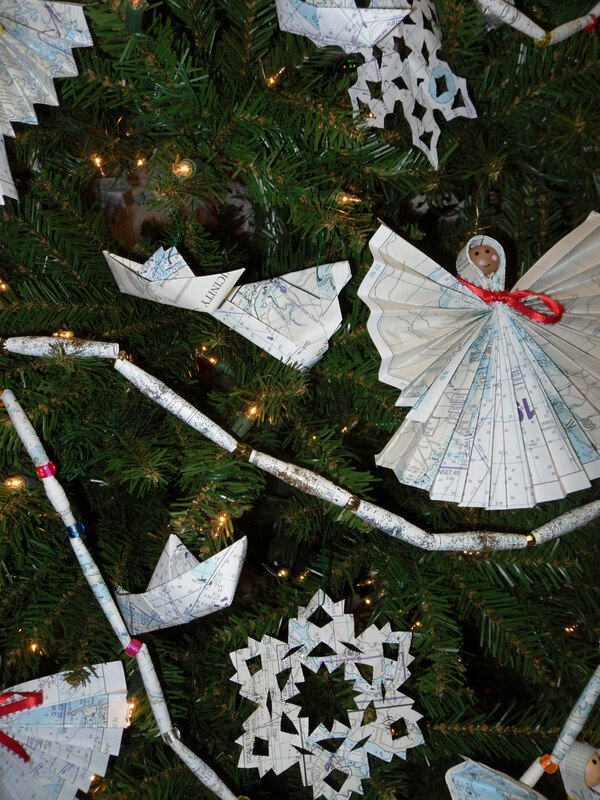 We made paper snowflakes, angels, paper map beads, and origami boats. We publish updated Maryland and Virginia Cruising Guides every two years because of the hundreds of changes to information on buoys, water depth, tidal currents, marinas, ramps and channels. Whenever we have leftover books from a prior printing, they get recycled. As nice as recycling is, making the old charts into something new and beautiful, for a good cause, is far more fun. UPDATE: See pictures and read about the 2012 hospice tree here.